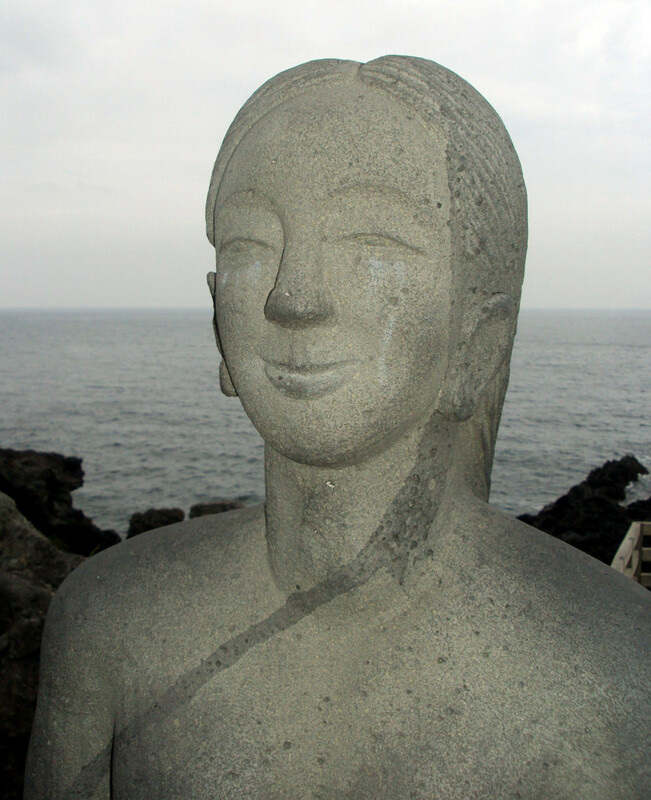 The number of haenyo is declining sharply, from about 30,000 in the fifties to under 6,000 at present, with over half of those remaining over the age of 50. 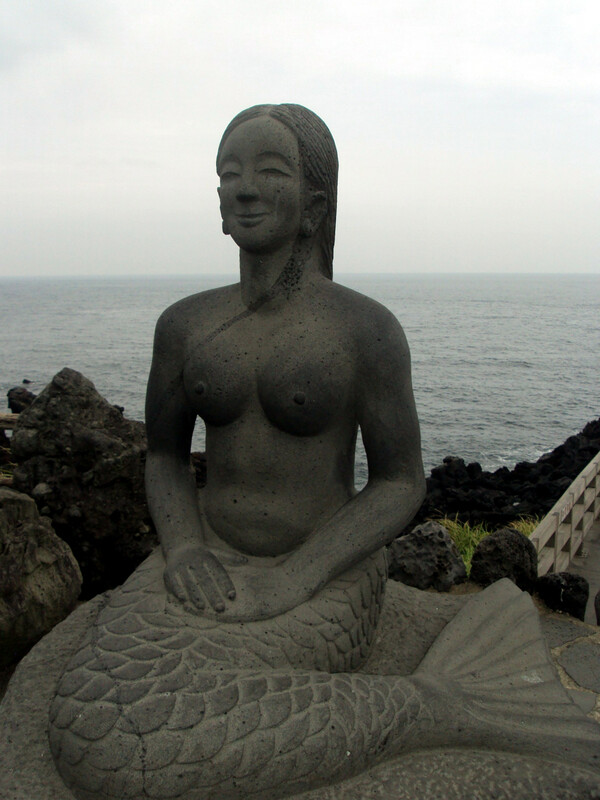 The island has a museum for its mermaid divers history. 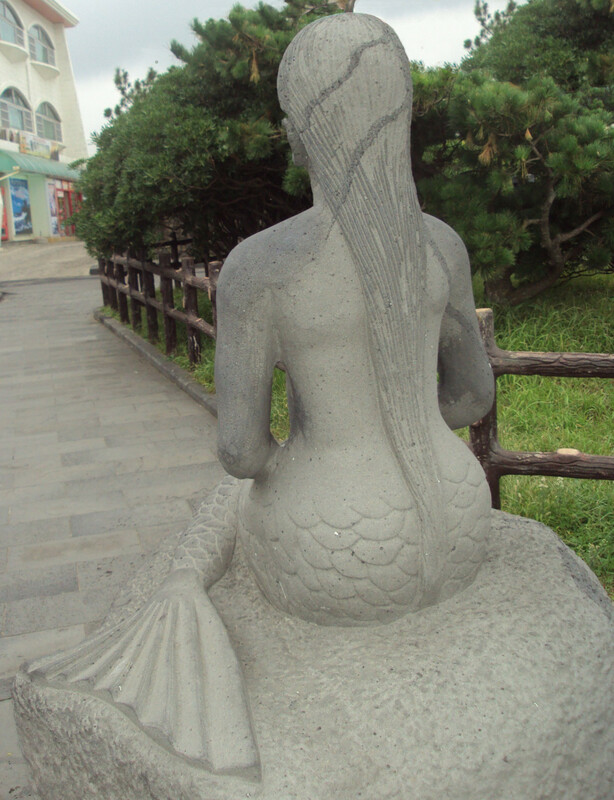 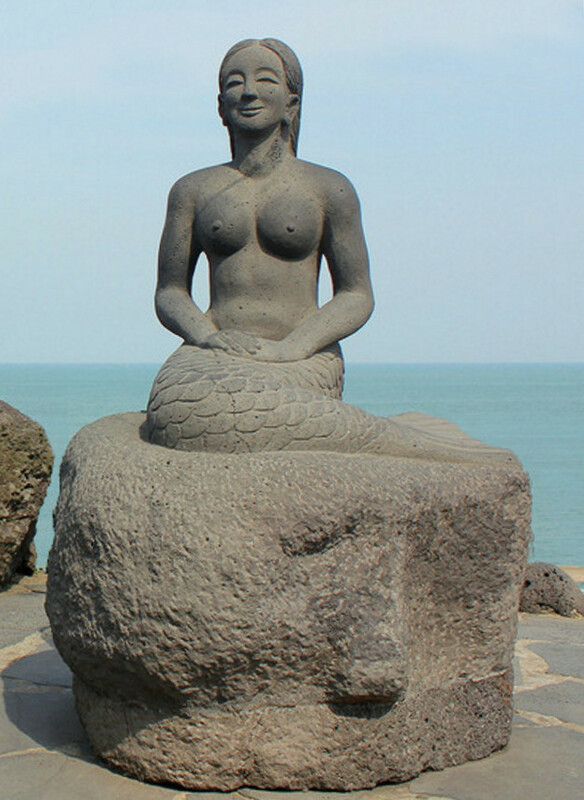 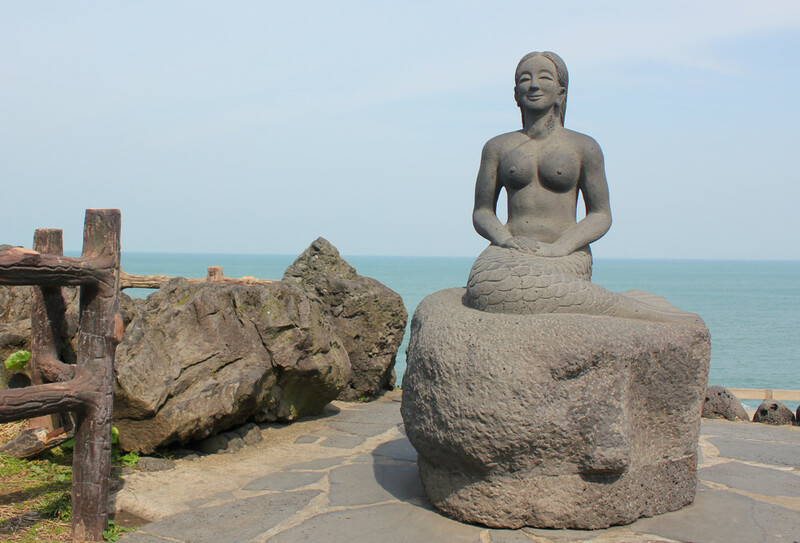 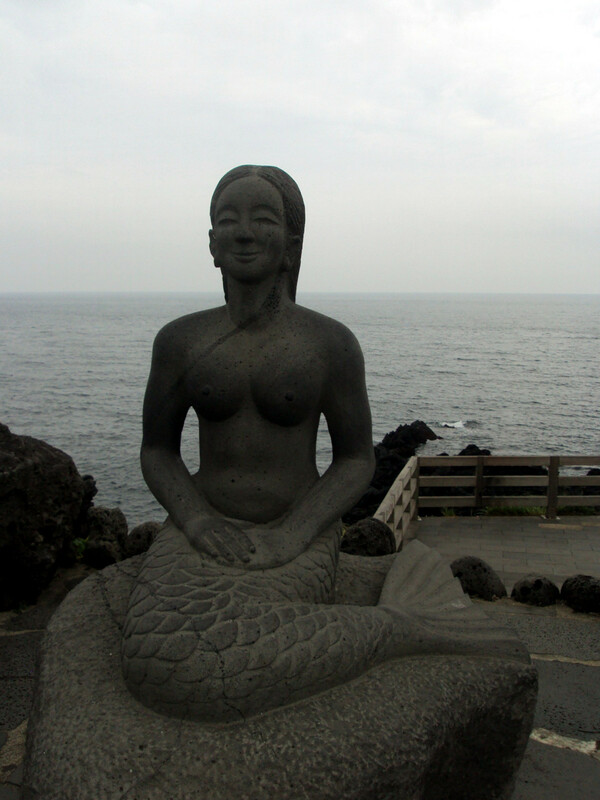 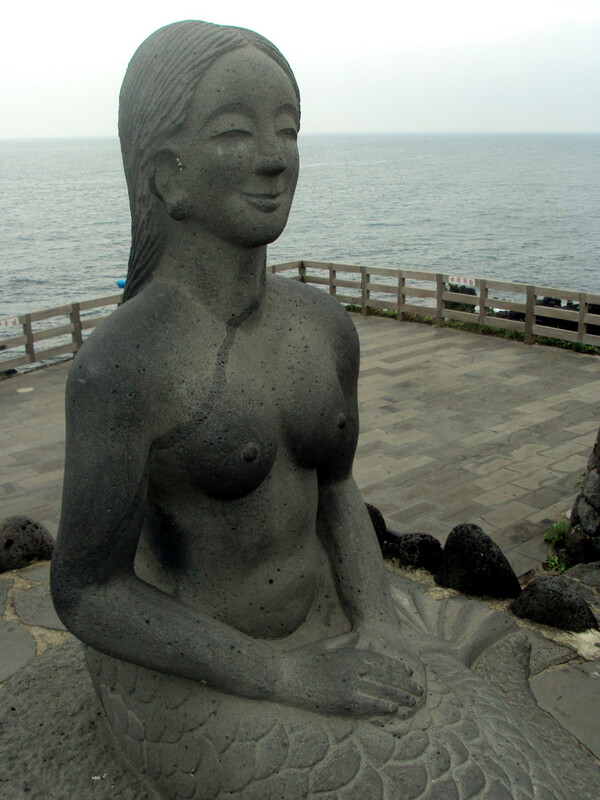 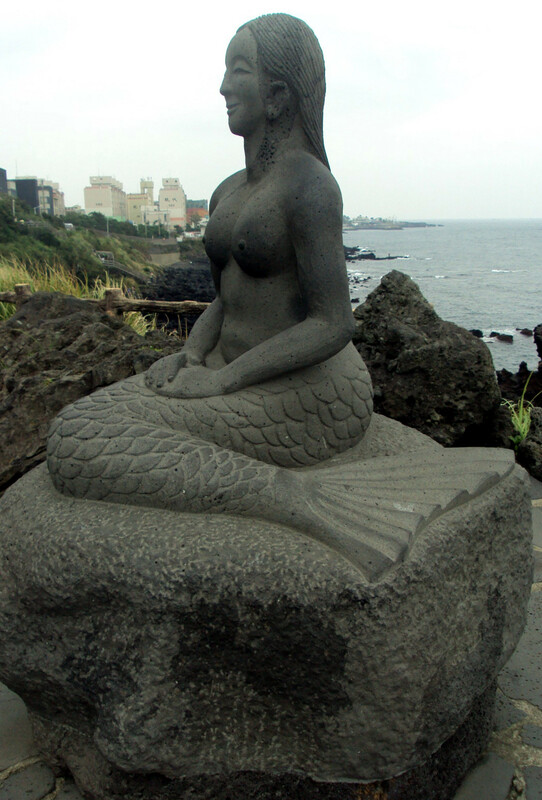 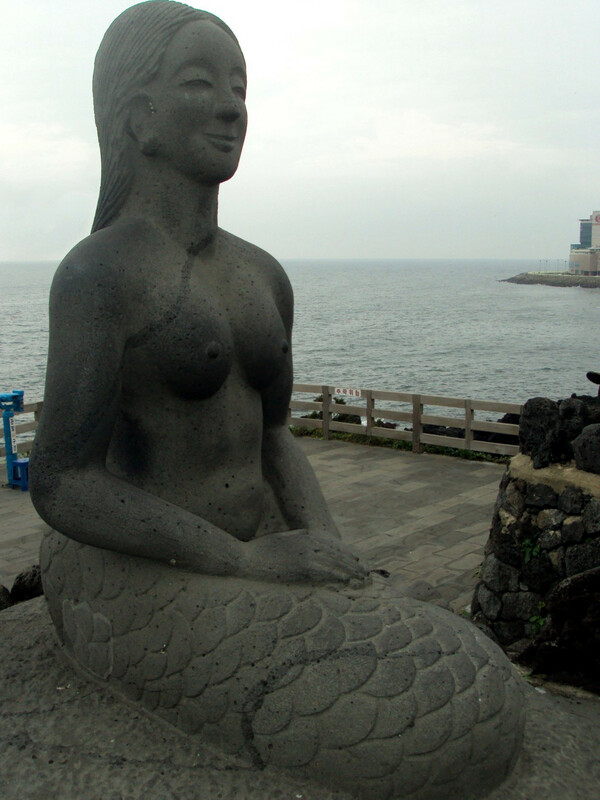 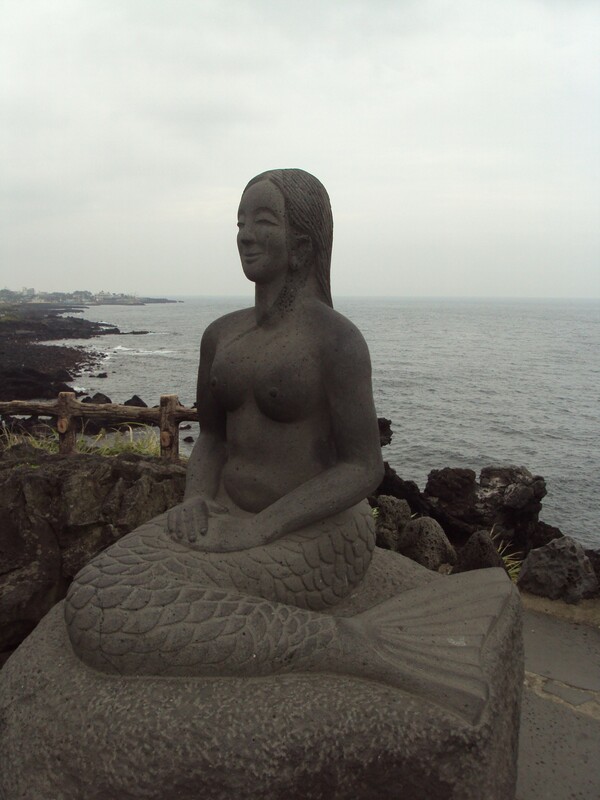 But as for the smiling mermaid statue, there is not a lot of information available so far on how it came to be here, who the artist is or when it was made.